More e-declarations are yet in the pipeline to be checked. The National Agency for the Prevention of Corruption (NAPC) will verify the income statements of four judges of the Higher Economic Court, the NAPC said in a 27 March statement. The agency said they were acting on inquiries from individuals, public organisations and law-enforcement agencies. In particular, the NAPC will look into the income statements of four judges of the Higher Economic Court, five people's deputies, the parliament staff, and Kharkiv regional state administration officials. 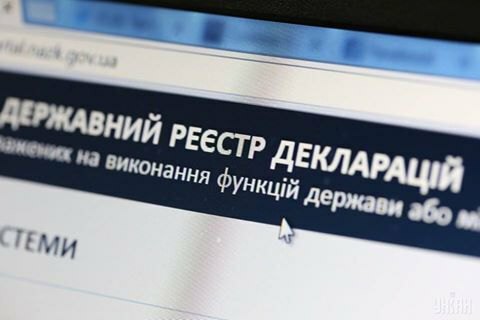 On 13 February, the Justice Ministry unblocked the procedure for the full audit of officials' e-declarations. The document could not be registered for several months to come into force. In addition, the government working group is yet to finalize the procedure for monitoring the lifestyle of officials that the Justice Ministry earlier rejected. On 22 February, the NAPC commenced the audit of 2015 e-declarations of the president, the prime minister and members of the government. In March, the NAPC started checking the e-declarations of 11 senior officials and also announced the verification of the e-declarations of deputy ministers.